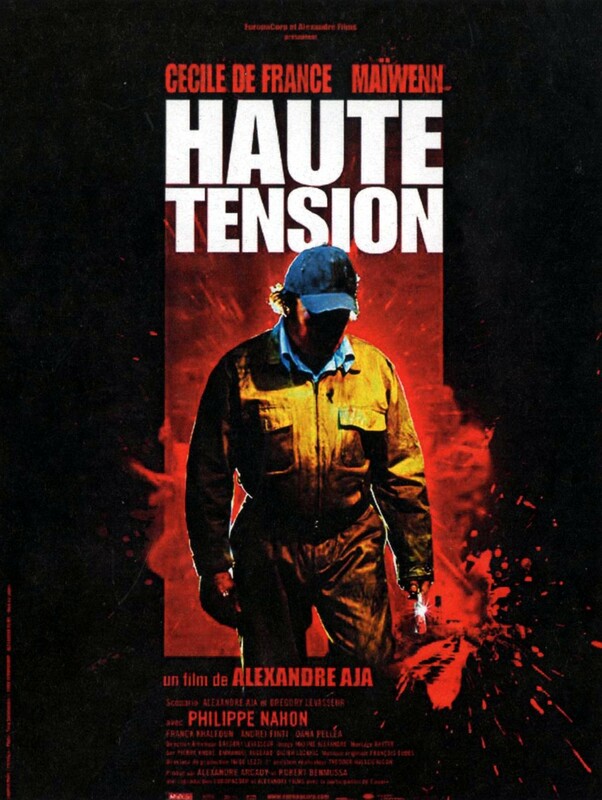 High Tension (French: Haute tension) is a 2003 French psychological suspense and slasher film that was later released in 2004 in the UK (as Switchblade Romance) and 2005 in the US and Canada. The font used for the movie title in the poster is Impact, a realist sans-serif typeface designed by Geoffrey Lee in 1965 and released by the Stephenson Blake foundry. You can preview and buy it here. In addition to High Tension, Impact typeface is also used in the following logos, movie posters or album covers etc., including: GameStop Logo, Cash Money Records, Five Finger Death Punch, Parental Advisory Label, Alan Wake, Nike, Hot Wheels AcceleRacers, The Grey, Preacher (TV Show), Yellow, Chicken Run, Generation Iron, Bad Company, Total Blackout, Dawn of the Dead.